Male breast reduction can be easily achieved. This procedure removes excess fatty tissue from around the breast area. This can result in a more defined chest and a greater level of self confidence for the patient. 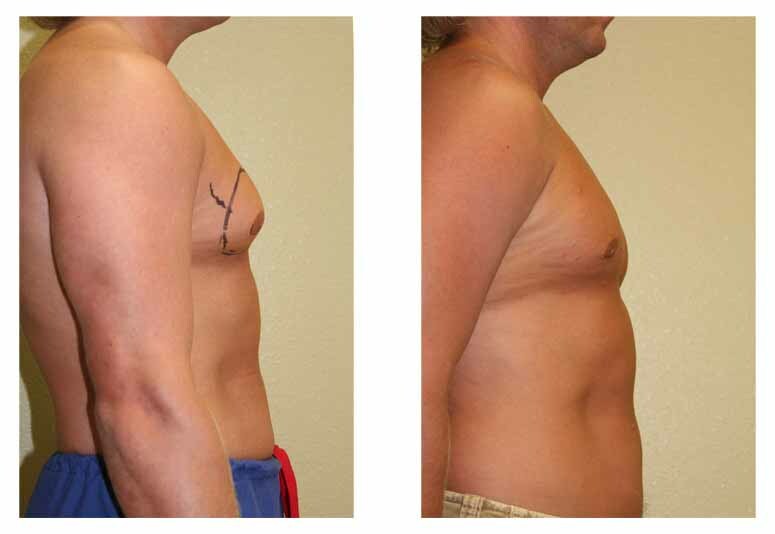 Enlarged male breasts can be reduced by liposuction and/or by cutting out excess glandular tissue. The procedure for male breast reduction takes an average of two hours, usually on an outpatient basis, using general or local anesthesia. If excessive glandular tissue, fat and skin is present, it will be removed. Surgery may be performed alone or in conjunction with lipoplasty, where the suction device will typically be inserted through the existing incisions. For the removal of excess fatty tissue alone, liposuction may be all that is needed; in such cases, scars will be small and barely visible.